Hard work and rigorous training enabled the UTAR Basketball Team to achieve another outstanding feat in the National Men’s Open Basketball Championship 2016 which was held at the Speedy Basketball Court in Teluk Intan from 25 March to 23 April 2016. 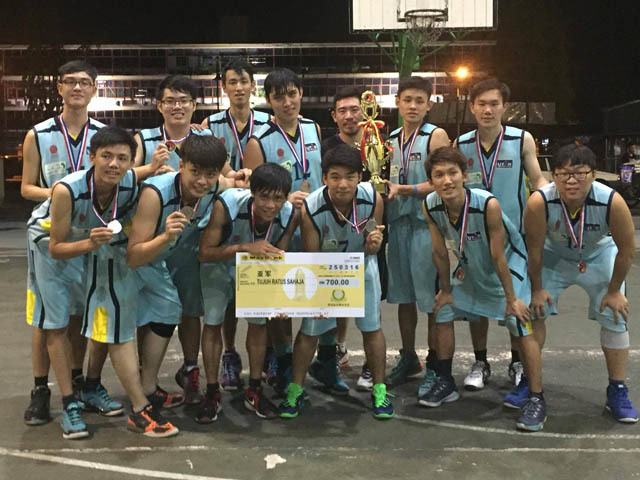 The finals were played on 23 April and the university’s basketball team emerged as first runner-up. A total of 12 teams participated in this annual championship. Jointly organised by the Pertubuhan Gerakan Belia Bersatu Malaysia and Malaysian Chinese Association (MCA) Youth, Teluk Intan Branch, the championship aimed to promote and encourage lifelong participation in sports and physical activities.